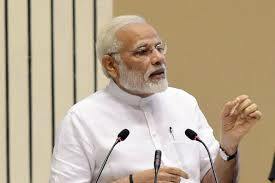 Following is the text of the Prime Minister Narendra Modis departure statement prior to his visit to Singapore. I will be visiting Singapore on 14-15 November, to participate in the ASEAN-India and East Asia Summits. In addition, I would also participate in the Regional Comprehensive Economic Partnership Leaders’ Meeting. My participation in these meetings symbolizes our continued commitment to strengthening our engagement with ASEAN Member States and with the wider Indo-Pacific region. I am looking forward to my interactions with other ASEAN and East Asia Summit Leaders. On 14 November, I will have the honour to be the first Head of Government to deliver the Keynote Address at the Singapore Fintech Festival. As the world’s largest event on financial technology, the Festival is the right forum not only to showcase India’s strengths in this fast-growing sector, but also to forge global partnerships for fostering innovation and growth. During my visit, I will also have the opportunity to interact with the participants and winners of the joint India-Singapore Hackathon. It is my firm belief that if we provide the right encouragement and a nurturing ecosystem, our youth has the ability to become global leaders in providing solutions to the challenges facing humanity. I am confident that my visit to Singapore will impart fresh momentum to our growing partnership with ASEAN and East Asia Summit nations. As I depart for Singapore, I would like to extend my heartiest congratulations to Singapore for their able Chairmanship of ASEAN this year, and convey my best wishes for all success in hosting ASEAN and related Summits.